Since the building first opened over a decade and a half ago, the Utah Museum of Fine Arts (UMFA) is undergoing its most comprehensive permanent exhibition reinstallations. The museum has replaced the edifice’s vapor barrier and has switched out the UMFA’s signature guava-orange walls for a deeper palette of vibrant greens and blues. The South Asian collection has changed rooms, now situated near a dedicated Chinese art gallery. New on-view objects are showcased all throughout the expanded floor space of the permanent exhibitions, alongside Las Hermanas Iglesias’ interactive ACME Lab exhibition and Spencer Finch’s site-specific Great Hall installation, in which Finch circumnavigates the Great Salt Lake—using color. This Aug. 26 and 27, the UMFA will open its doors for a free two-day celebration of the museum’s reopening—and reenvisioning. Located at the top of the museum stairs, each work in the new modern/contemporary installation is a masterpiece of the UMFA’s permanent collection. 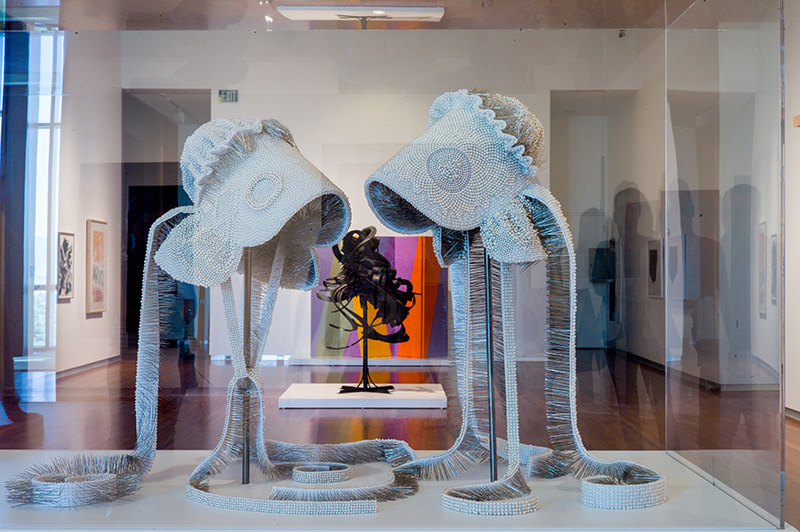 “It’s a pleasure to call attention to these artists,” says Tassie, pointing to the significance of pushing for increased representation in not only a museum’s traveling or temporary exhibitions, but also its permanent acquisitions. She notes the power behind Judith Whitney Godwin’s gestural brushwork and Signe Stuart’s experimentation with material and idea through sewn canvas and paint. Made from tire, Chakaia Booker’s striking Discarded Memories sculpture dynamically twists and jags, referencing both human skin and throwaway culture. 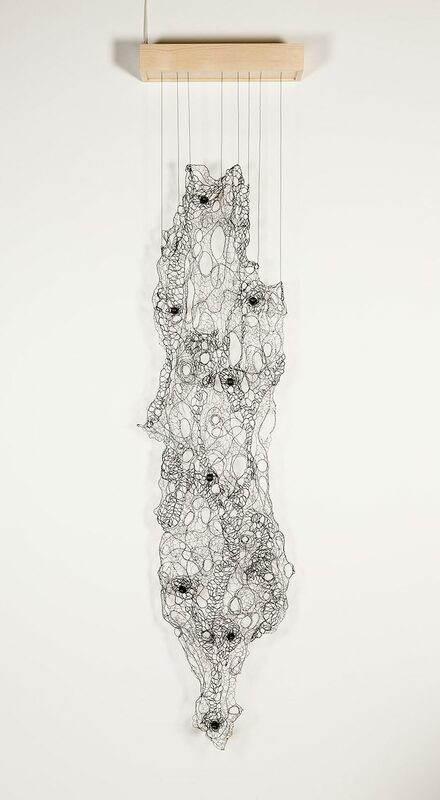 Julianne Swartz’s intricate Lace Skin Tear lends an aural dimension to the installation: A layered, four-channel soundtrack eerily weaves through the gallery with tender words and sounds, spoken in several languages—foreign to some, familiar to others. 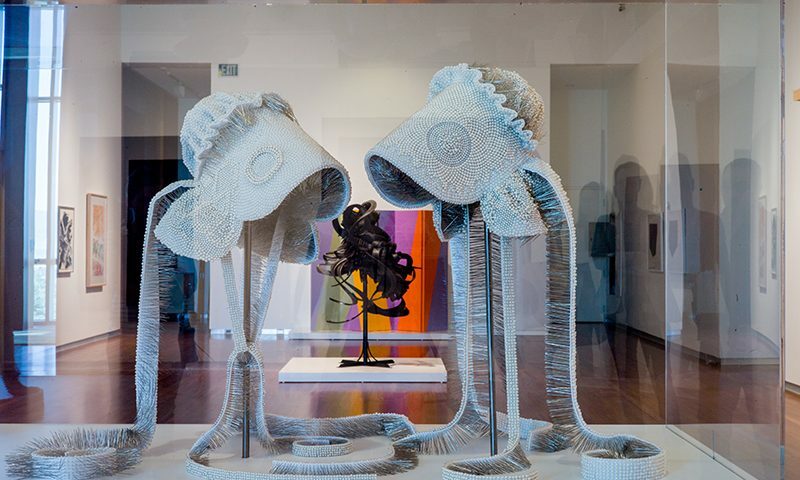 Refreshingly, the UMFA’s installation includes women-identifying artists from all around the world, representing a multitude of media, styles, cultures, time periods, art movements and experiences. 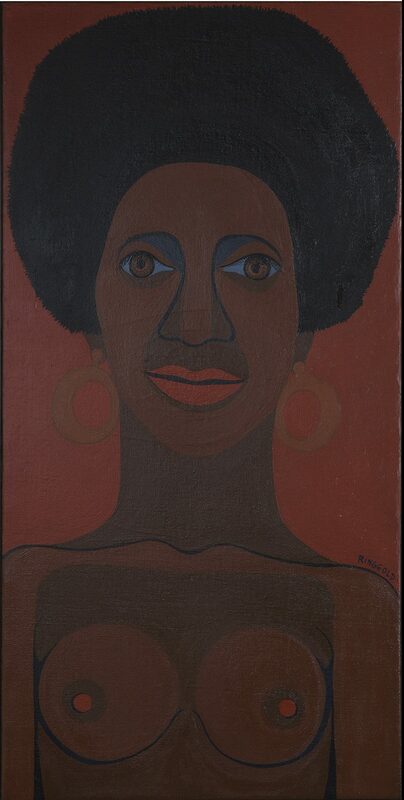 On the easternmost wall of the modern/contemporary gallery are depictions of women by three artists of color. British-Ghanaian artist Lynette Yiadom-Boakye’s hazy oil painting, Periphery, is a contemplative glimpse of a person in a light-blue dress, facing away from the viewer. 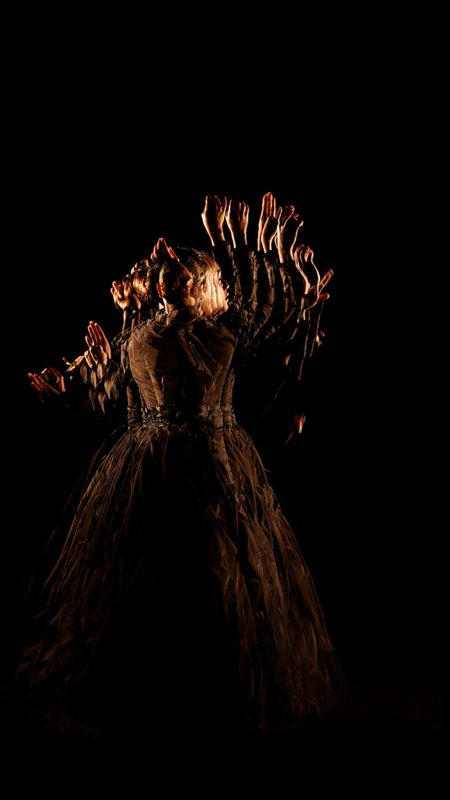 New Zealander Yuki Kihara’s silent video, Siva in Motion, beautifully layers shots of the artist performing a Taualuga, a traditional Samoan dance. And in one of the UMFA’s newest acquisitions, Soul Sister (part of the artist’s Black Light Series), Faith Ringgold subverts her art school education, which only taught her to render skin tones with white pigment. Instead, Ringgold adds black pigment. For more information, visit umfa.utah.edu.